The United Kingdom needs no introduction. With the member nations of England, Scotland, Wales and North Ireland, this is a diverse collection of interconnected cultures. The United Kingdom’s museums, historic cities and scenic countryside have been a favorite European travel destination for many years. From the castles to the Scottish Highlands, this is a fascinating part of the world, that remains influential in the world today. 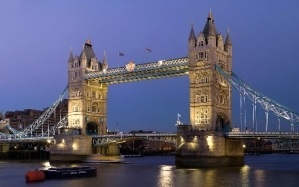 London is a fascinating city filled with parks, museums, art-galleries and of course lots of history. This is a city that has it all; even something simple as watching the changing of the guard at Buckingham Palace, riding a double-Decker bus or watching the minutes pass on Big-Ben is not to be missed. Some popular attractions include St. Paul’s Cathedral, London Eye, the National Gallery and the Houses of Parliament. For the history buff there are tours of the Churchill War Rooms or a visit to Westminster Abbey. If you are an outdoor-enthusiast there are various boat and bicycle tours too. Whatever you like to do on vacation, you will find it in London. 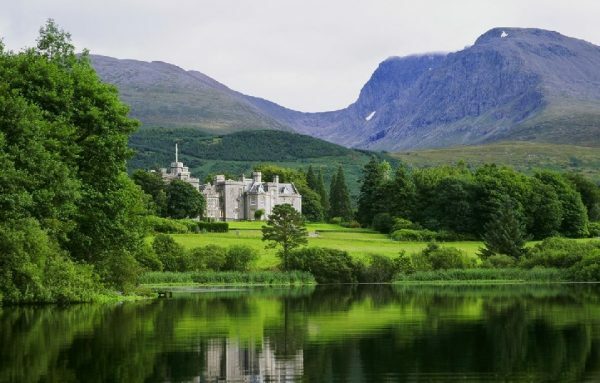 The Scottish Highlands is a beautiful region with a rich fascinating history. On these grounds there are many things to see and do. Visit one of Scotland’s beaches, explore the famous lochs, or visit ancient battlefields & monuments. If you love arts and crafts that is available too. With the majestic hills and beautiful shoreline, it’s easy for local artists to find inspiration for their work. For the outdoors-man there is a variety of outdoor activity and opportunities to see the local wildlife. With the mountains, coastline and beautiful lochs, the area promises big things and will delivers. Its no surprise that this corner of Scotland is a favorite of walkers, mountain bikers and horseback riders. Edinburgh is a symbol of Scotland and is part of the Old & New Towns of Edinburgh’s World Heritage Site. This icon was voted top United Kingdom Heritage attraction in the British Travel Awards. Edinburgh Castle has a complex building history that extends for centuries. The oldest section, St Margareta’s Chapel, was built around the 12th century; the Great Hall was erected early in the 15th century and the Half Moon Battery by the Regent Morton was completed late in the 16th century. Today some artifacts Edinburgh houses includes the Crown Jewels of Scotland, the Stone of Destiny and the National War Museum of Scotland. Edinburgh is a lasting symbol of the Scottish struggle for independence and it is one of the top tourist attractions in Scotland. For many years historians & archaeologists have been puzzled over the mystery of Stonehenge. Located in southern England, this prehistoric monument took an estimated 1,500 years to erect. It is comprised of roughly 100 massive upright stones placed in a circular layout. Stonehenge is located on the plains north of modern day Salisbury, England . The structure was built between roughly 5,000 and 4,000 years ago and forms just one part of a larger, and highly complex landscape. If you are in the Salisbury area it makes a nice outing. 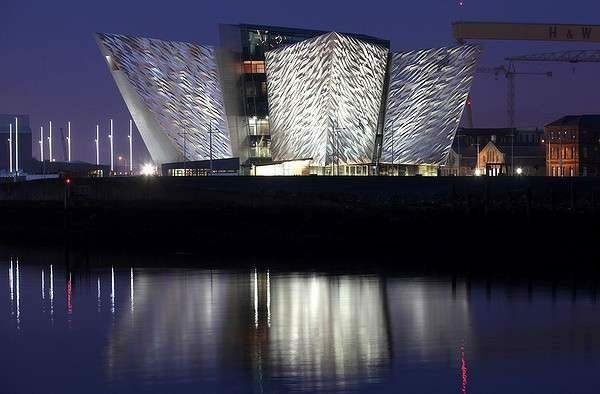 The story of the Titanic is rich with history, myth and legend ; What better place to put the story into perspective than Belfast the birth place of Titanic. Billed as the largest Titanic attraction in the world, Titanic Belfast is a tribute to the story of the Titanic & Belfast’s maritime history. More than a century ago, the ocean-liner was built on this spot. For visitors there are interactive exhibitions and guided tours around the slipway & dry-dock. The building is star-shaped to represent the logo of the White Star Line. Also it houses a number of interesting artifacts including menus, letters and brochures. Known around the world for its columns of layered basalt, the Giant’s Causeway is North Ireland’s one and only UNESCO World Heritage Site. These polygonal-shapes were created by volcanic eruption millions of years ago. Today, they are a well known example of Outstanding Natural Beauty. When you are finished admiring the Giant’s Causeway, the surrounding coastline is magnificent and shouldn’t be overlooked; take your time as you view the beaches, dunes and rolling waves at Portrush. Lastly, a quick ten minute drive will bring you to the ruins of Dunluce Castle. Known as one of the leading heritage attractions in Wales, Cardiff Castle is a site of International significance. Located on the beautiful parklands at the heart of the capital, Cardiff conceals more than 1,800 years of history. In the same area just a short walk from Cardiff is Bute Park. This was once the back garden of Cardiff Castle. The two share a common history as the city developed from Roman times until now. For the visitor there is a gift shop featuring an eclectic selection of beautiful gifts and keepsakes. I think i visit this site before. Anyways, I’m happy I found it and I’ll back soon!